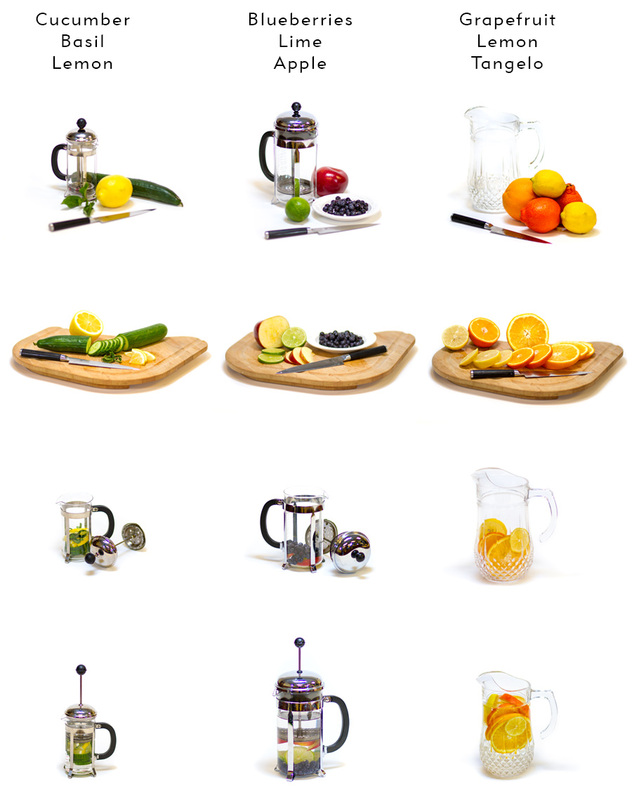 Whether you’re looking to drink more water or simply want to impress guests with an unforgettable, yet healthy drink, infused water puts true excitement back in hydration. Not only is it a delicious alternative to sugar laden drinks, it’s easy to fix and can make for an impressive presentation. Preparation can often be as easy as throwing whatever fruit and herbs you have on hand in a pitcher of water and letting the flavors infuse in the refrigerator overnight. Although a few favorite combinations are reflected below, let your palate inspire you and don’t be afraid to experiment. These recipes can create surprisingly sweet water, so those without a sweet tooth may consider adding some favorite vegetables or herbs to the mix. Lemon + raspberry + mint. Although a water bottle filled with this infused water makes for an especially nice treat during a hike or workout, there are many ways to dress it up for a brunch or party. 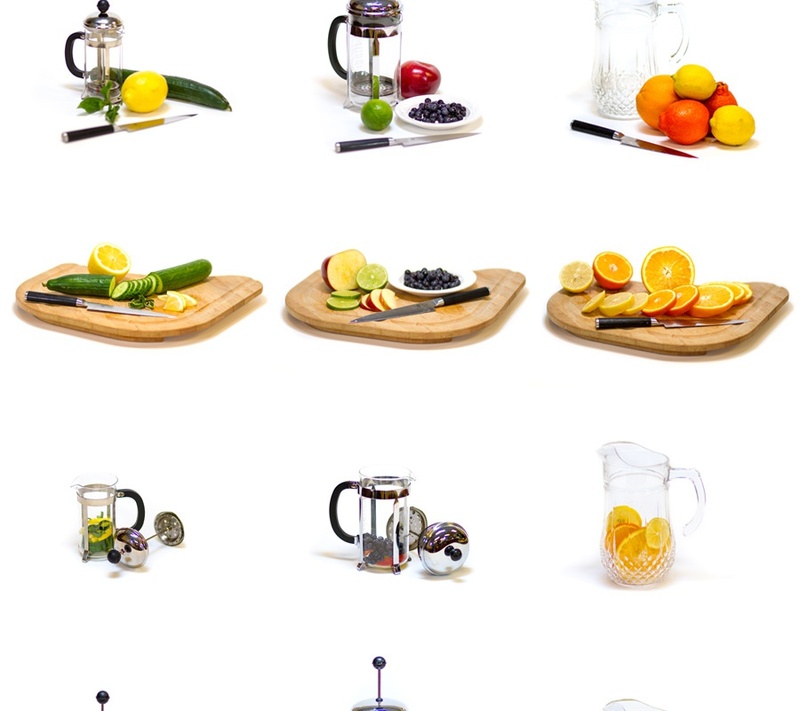 Breaking out your favorite clear glasses, tossing in some sliced fruit, herbs and ice and pouring in the slightly tinted water is one gorgeous way to showcase your creation. However, with a little advance preparation, you can create ice cubes that are works of art in their own right. Simply fill your trays with berries, cut up fruit or herbs and cover with water. When guests are due to arrive, break out this dressed up ice and serve.